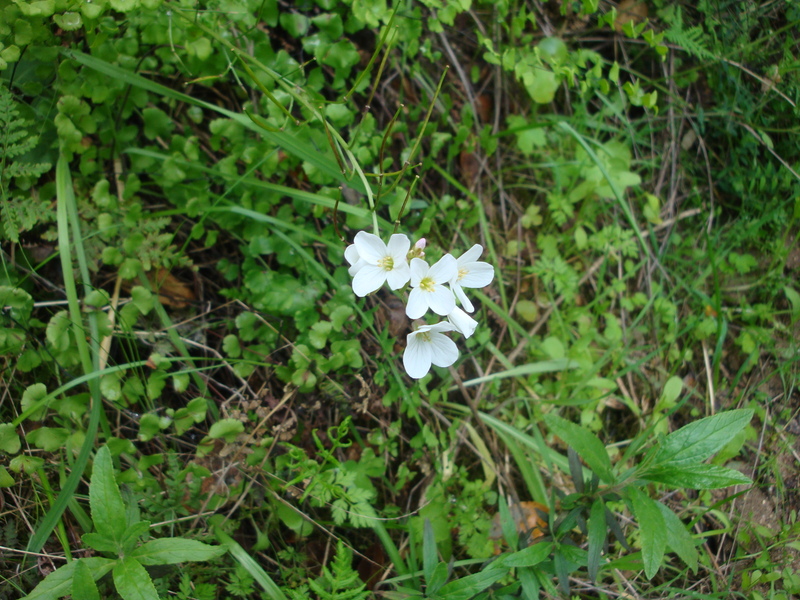 One thing for sure is that Milk Maids (Cardamine californica) are blooming pretty much anywhere there’s shade. 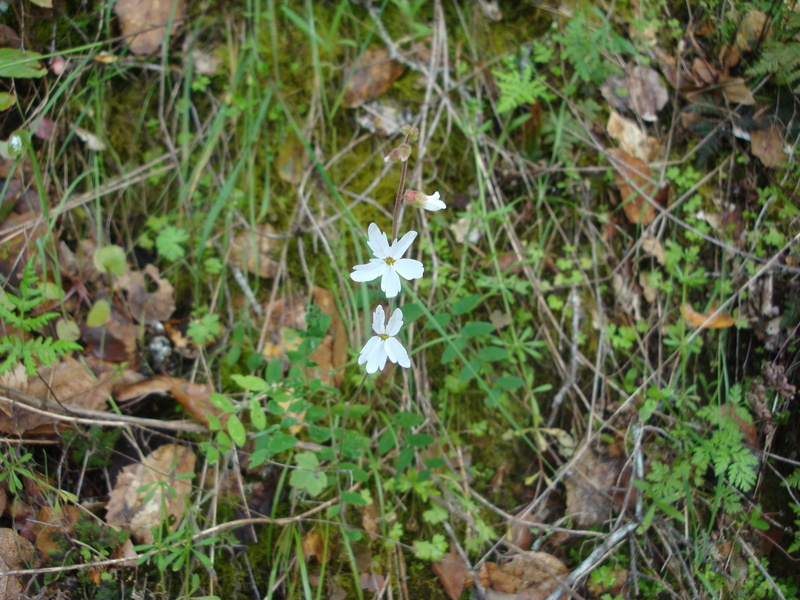 With plenty of Hill Star (Lithophragma heterophyllum) too. 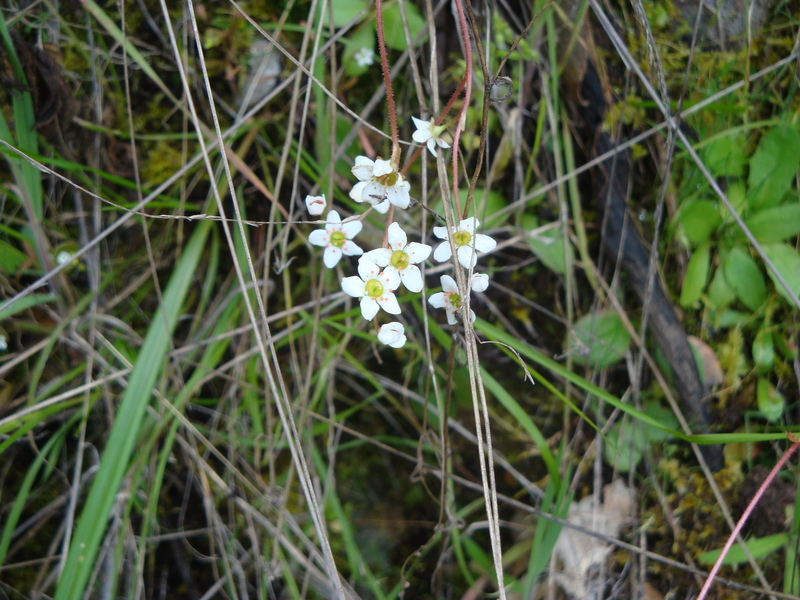 And occasional California Saxifrage (Saxifraga californica). 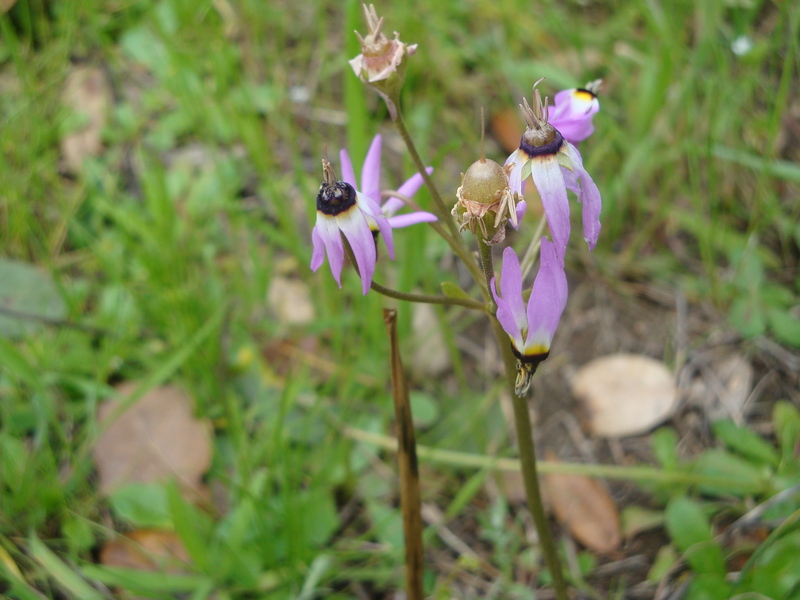 At the edges of the meadows, the last of the Shooting Stars (Dodecatheon clevelandii) are fading away. 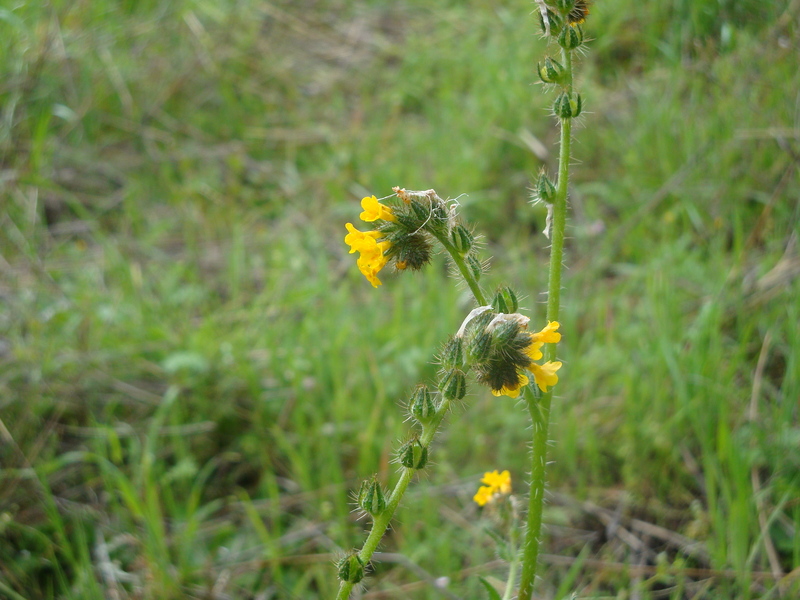 While Common Fiddlenecks (Amsinckia menziesii) take their place. 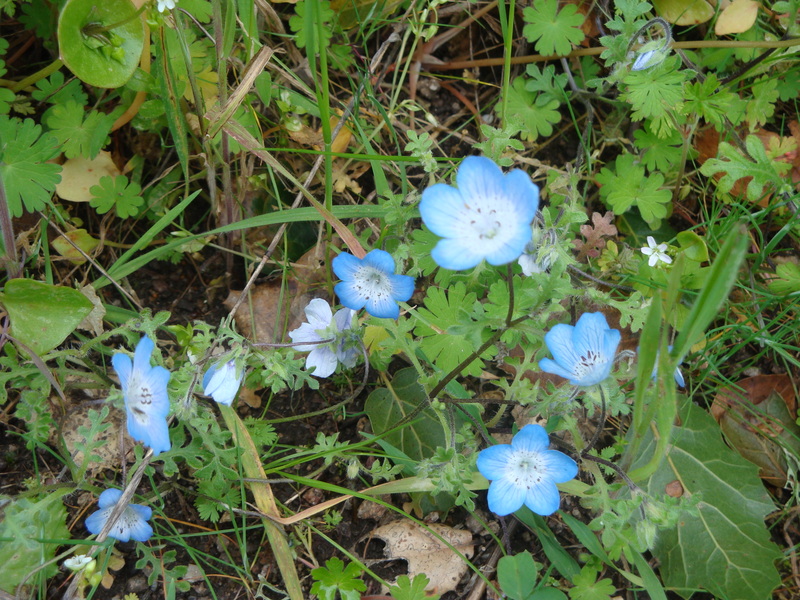 Along with Baby Blue-eyes (Nemophila menziesii). 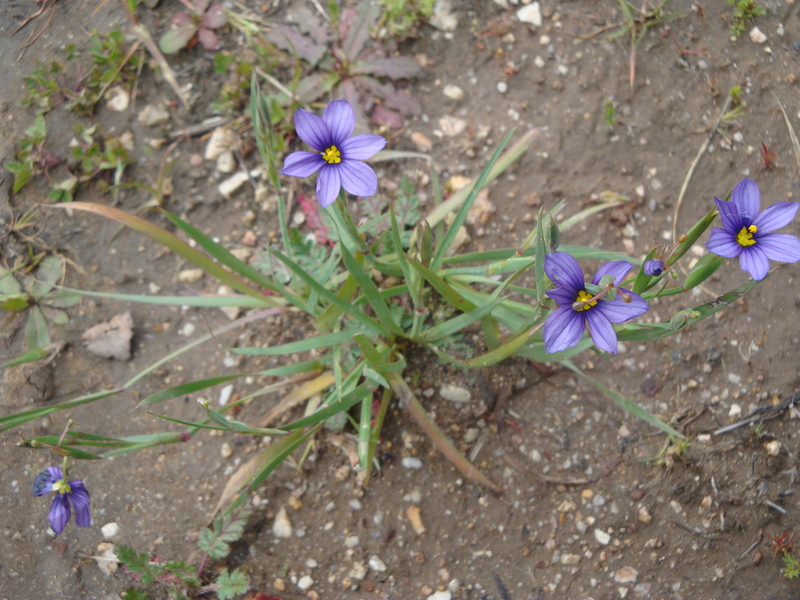 Further out in the fields, it’s storm-battered Blue-eyed Grass (Sisyrinchium bellum). 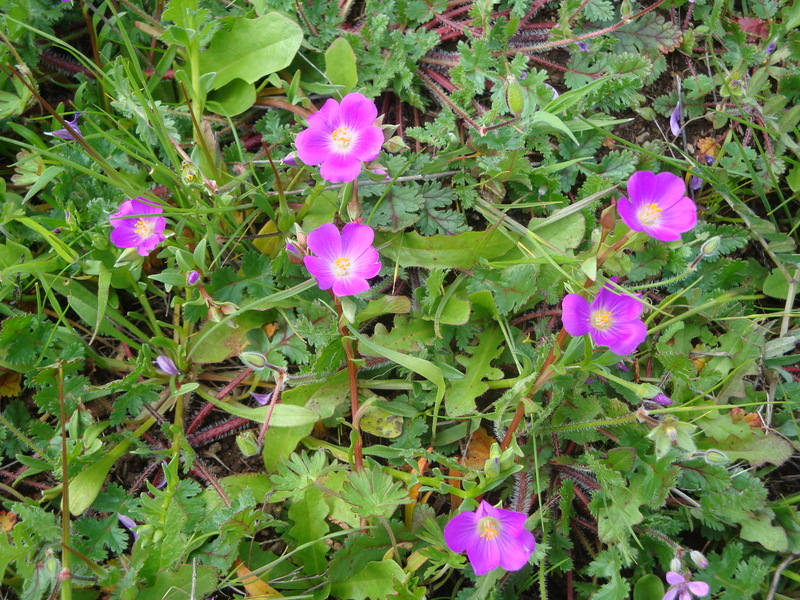 And a profusion of Red Maids (Calandrinia ciliata). 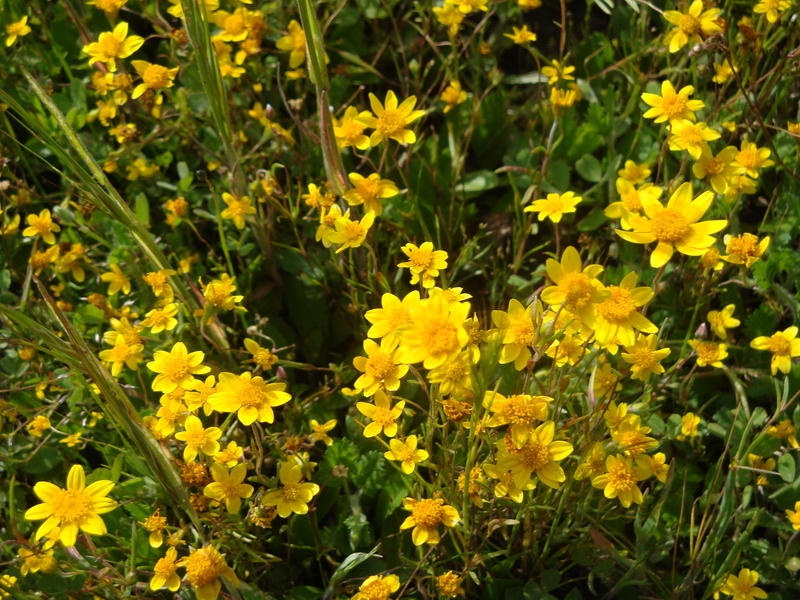 Other sunny spots are crowded with California Goldfields (Lasthenia californica). 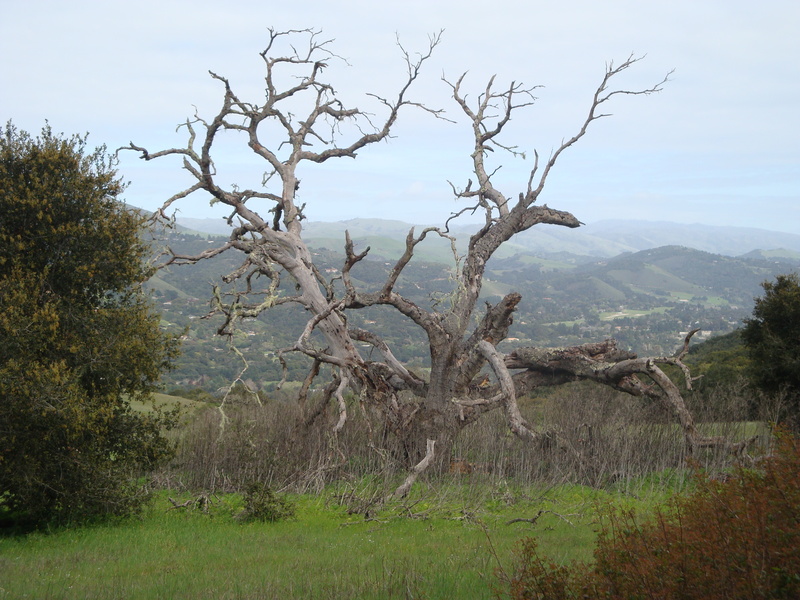 View of the Carmel Valley Village through the branches of a dead oak. 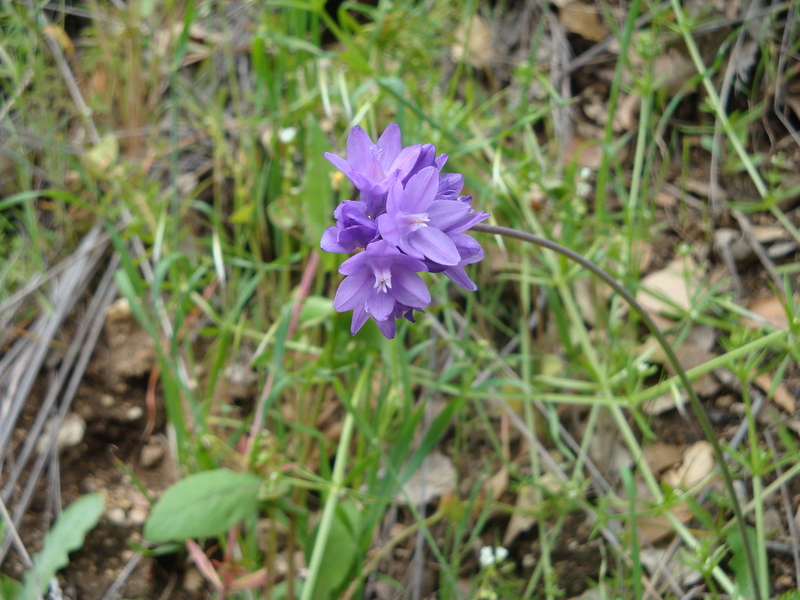 Entering the chaparral, we begin to see Blue Dicks (Dichelostemma capitatum). 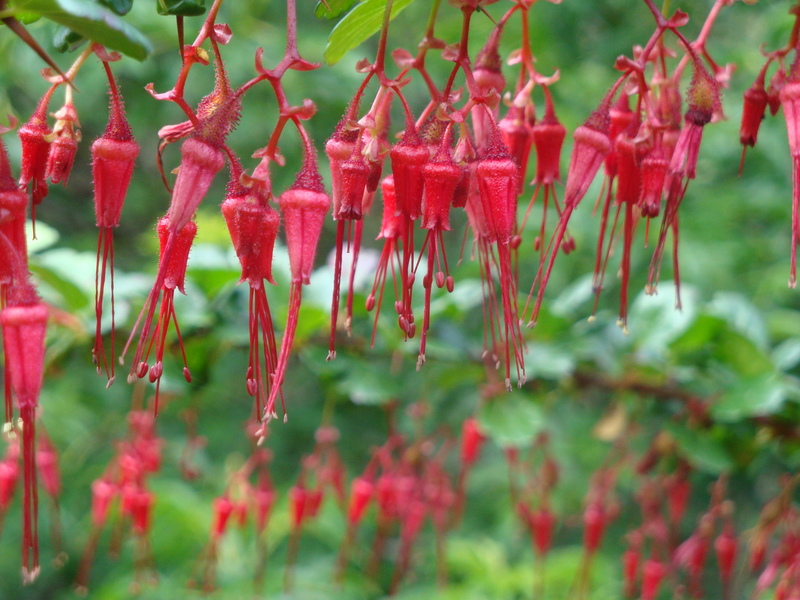 And Fuchsia-flowered Gooseberry (Ribes speciosum). 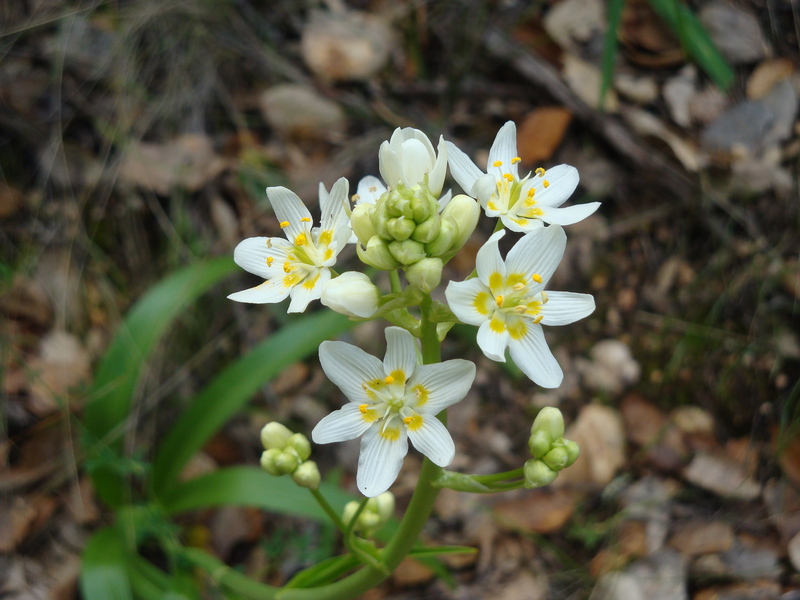 Together with a Star Lily or two (Zigadenus fremontii). Garzas Creek is a long way down from its Thursday high water mark, but still brim full. 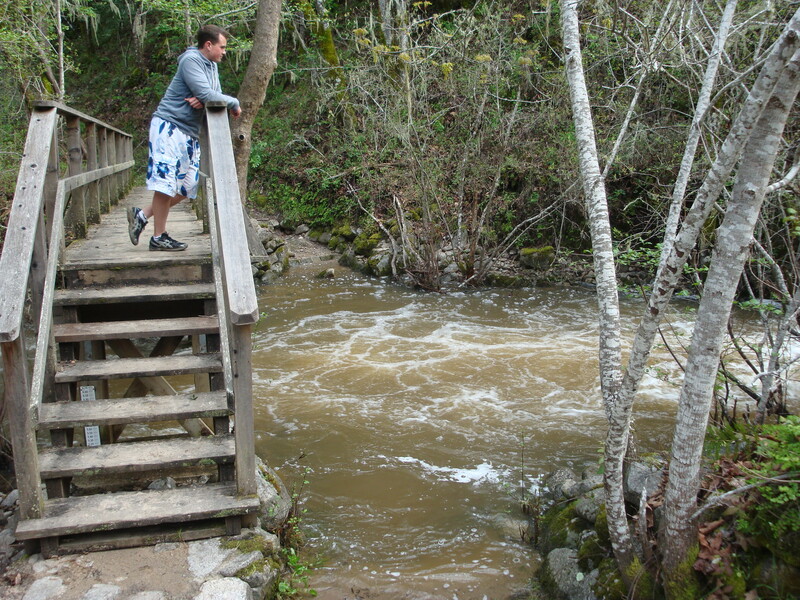 The peak flow of the Carmel River Thursday night was a little over 5,000 cubic feet per second in the Village and a little over 7,000 cubic feet per second at the river mouth. 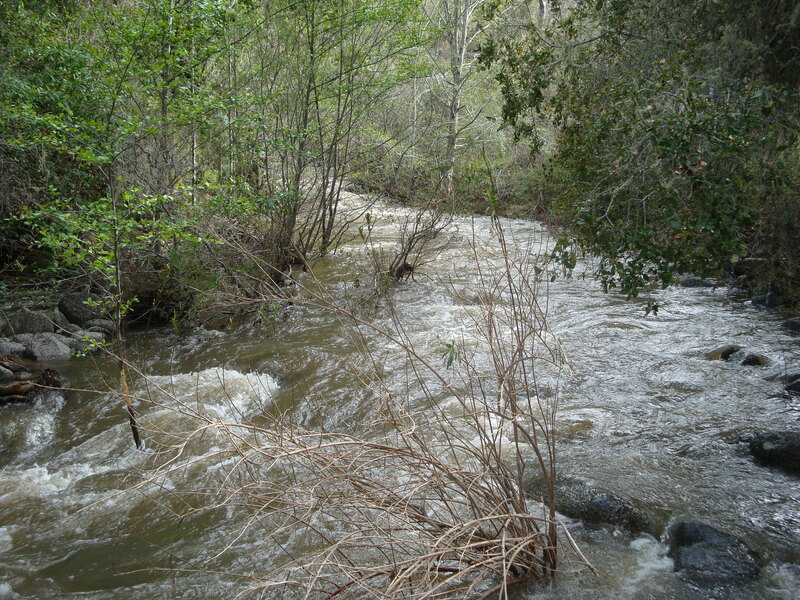 Garzas Creek was the single largest source of that extra 2,000 cubic feet per second. California Buttercup (Ranunculus californicus) – growing here with Coast Larkspur (Delphinium patens) – is abundant along the stream. 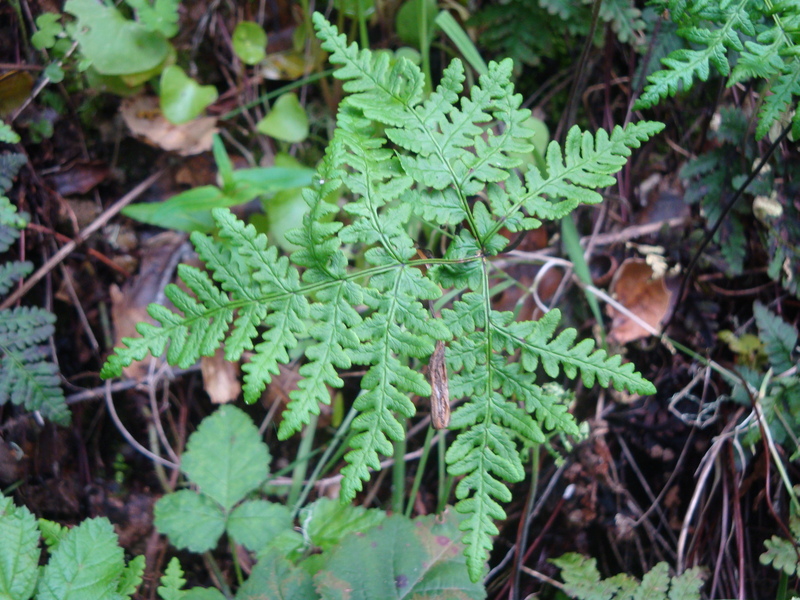 As are Goldback Fern (Pentagramma triangularis). 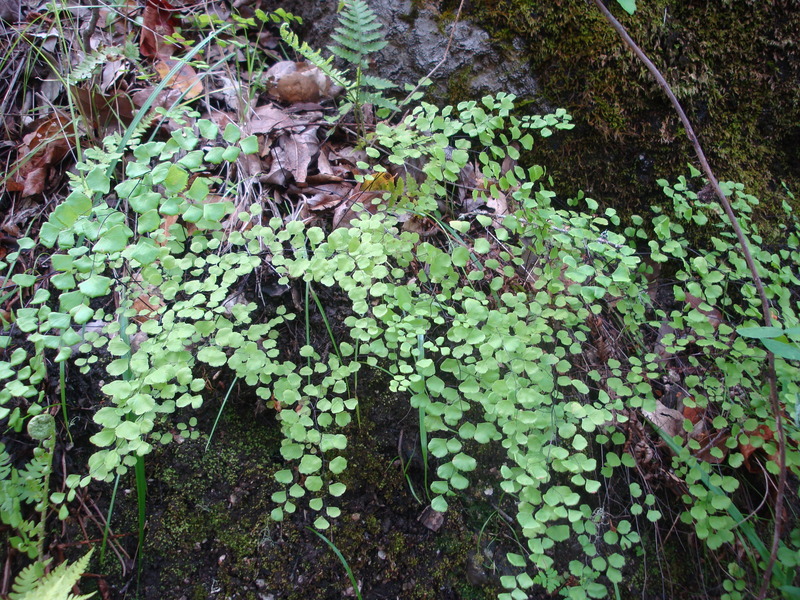 And California Maidenhair Fern (Adiantum jordanii). 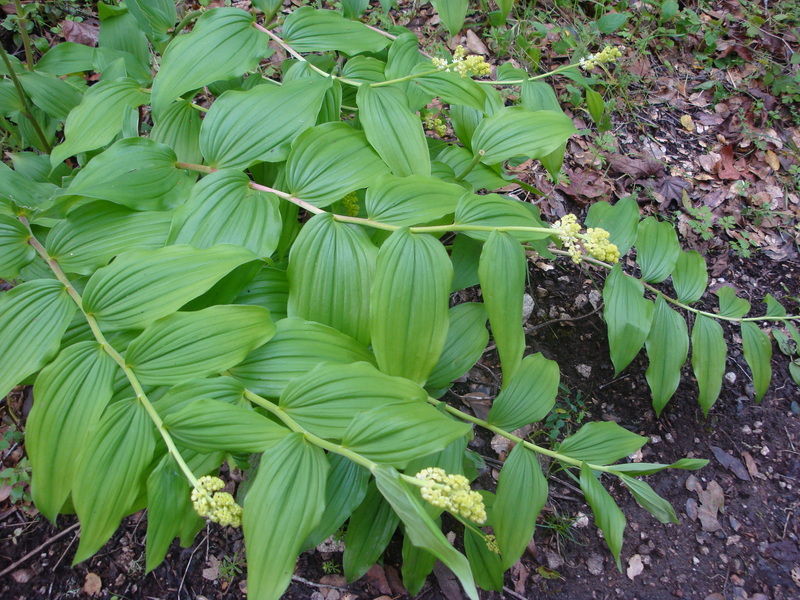 Fat Solomon (Smilacina racemosa) preparing to bloom. Lazy Sunday in the park. 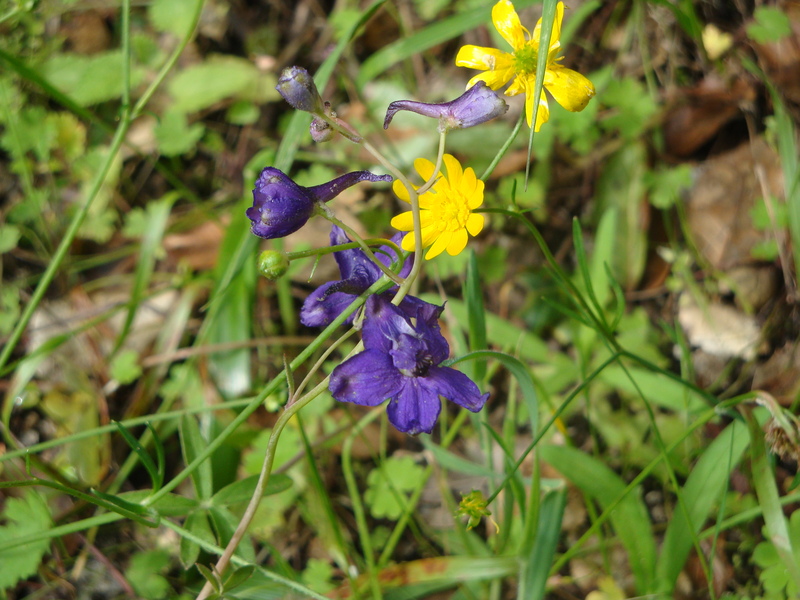 For more on Garland Regional Park wildflowers, see our previous posts Garzas Creek Wildflowers and Garland Park Wildflowers. 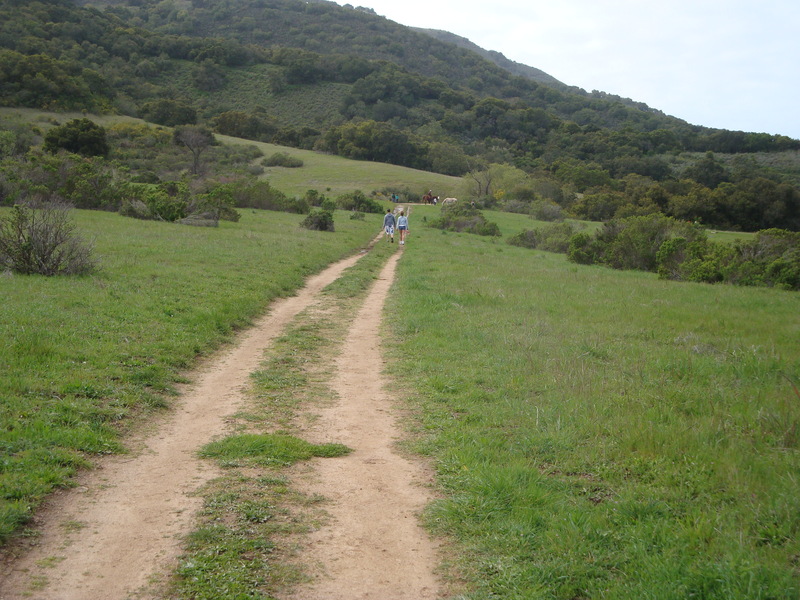 This entry was posted on Sunday, March 27th, 2011 at 10:12 pm and is filed under Carmel River, On Foot, Plants, Santa Lucias, Wildflowers. You can follow any responses to this entry through the RSS 2.0 feed. You can leave a response, or trackback from your own site.